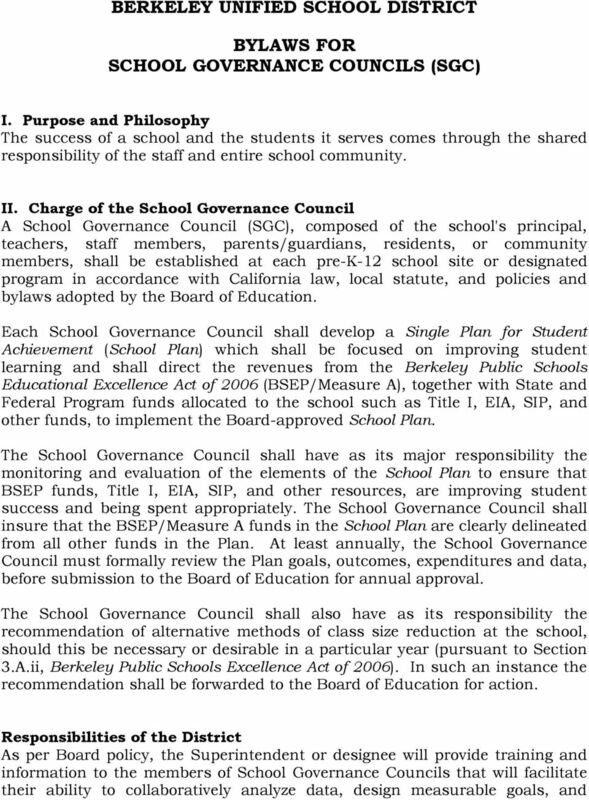 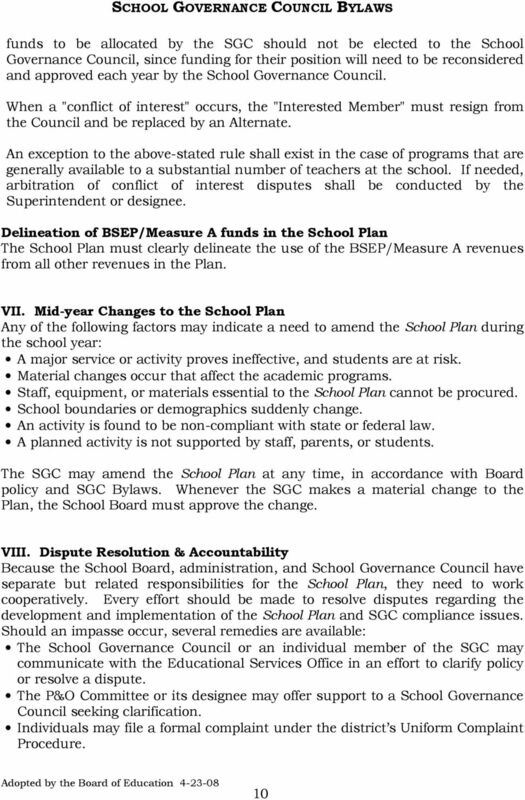 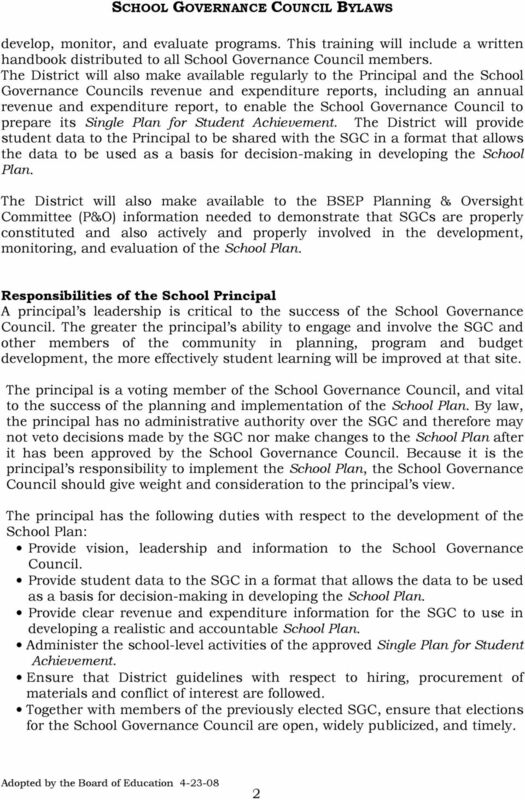 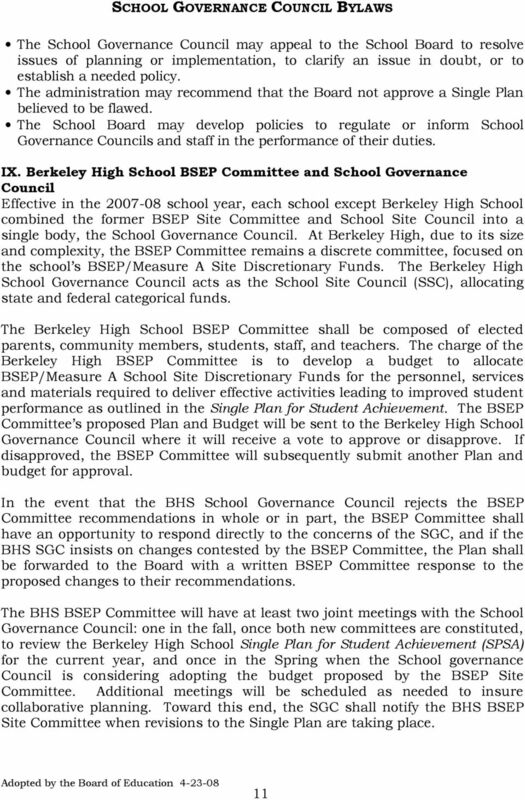 Download "BERKELEY UNIFIED SCHOOL DISTRICT BYLAWS FOR SCHOOL GOVERNANCE COUNCILS (SGC)"
13 School Governance Council Composition, Quorum & P&O Committee Representation School/Program Type Parent* Members Staff Members Student Members Minimum Size Quorum** P&O Committee Representatives Elementary 6 parents (elected at large) 6 staff (includes Principal & at least 1 Classified staff member) N/A 12 7 = quorum** At least: 3 parent members & 3 staff members 1 + Alternate(s) Middle 6 parents (elected at large) 6 staff (includes Principal & at least 1 Classified staff member) 2 students may serve as non-voting members 12 7 = quorum** At least: 3 parent members & 3 staff members 2 + Alternate(s) Berkeley High BSEP Committee 5 parents (elected at large) 5 staff (includes Principal or designee & at least 1 Classified staff member) 5 students 15 8 = quorum** At least: 2 parent members 2 staff members & 2 student members 4 (minimum 2 must be parents/community) B-Tech 2 parents (+ Alternate) 4 staff (+ Alternate) (includes Principal or designee; Classified staff optional) 2 students (+ Alternate?) 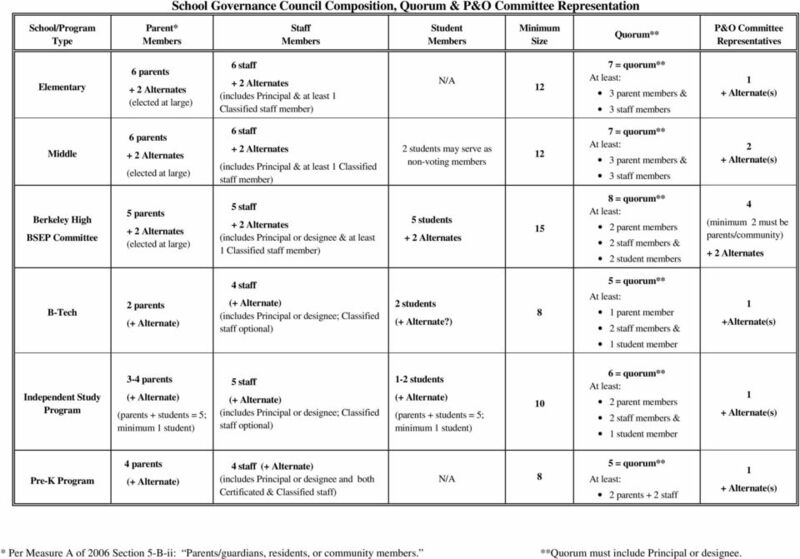 8 At least: 5 = quorum** 1 parent member 2 staff members & 1 student member 1 +Alternate(s) Independent Study Program 3-4 parents (+ Alternate) (parents + students = 5; minimum 1 student) 5 staff (+ Alternate) (includes Principal or designee; Classified staff optional) 1-2 students (+ Alternate) (parents + students = 5; minimum 1 student) 10 6 = quorum** At least: 2 parent members 2 staff members & 1 student member 1 + Alternate(s) Pre-K Program 4 parents (+ Alternate) 4 staff (+ Alternate) (includes Principal or designee and both Certificated & Classified staff) N/A 8 At least: 5 = quorum** 2 parents + 2 staff 1 + Alternate(s) * Per Measure A of 2006 Section 5-B-ii: Parents/guardians, residents, or community members. 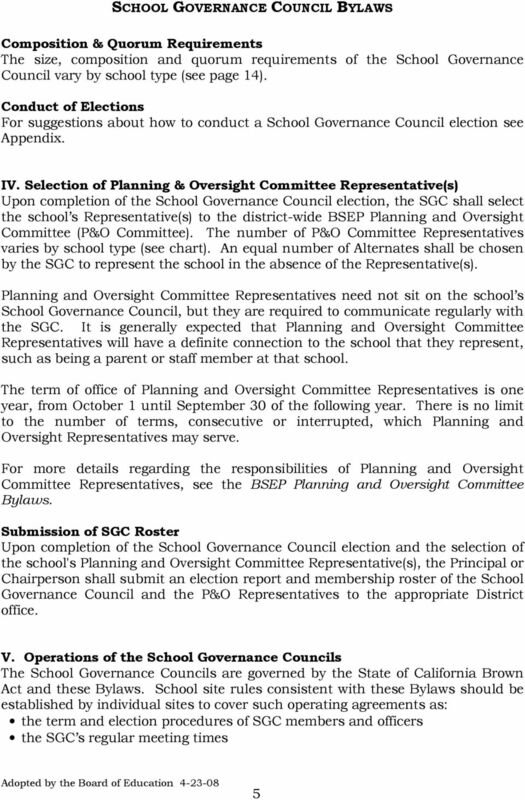 **Quorum must include Principal or designee. 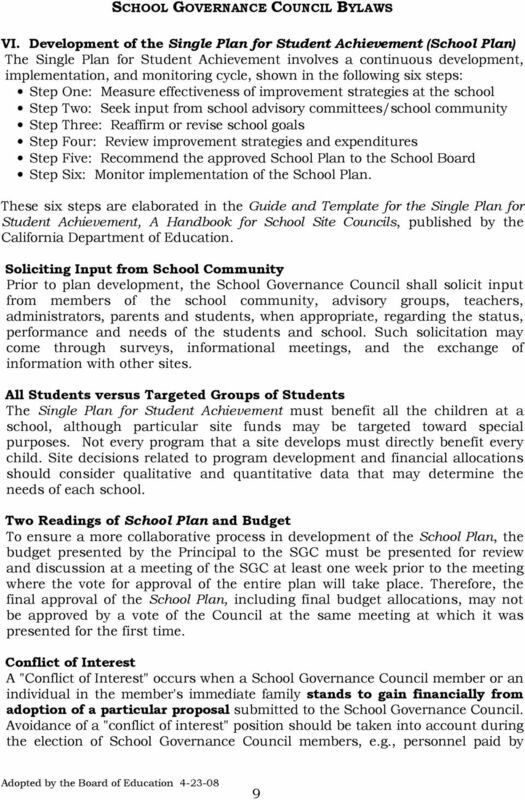 ARTICLE I NAME The name of this organization is the Professional Nursing Council of Strong Memorial Hospital. 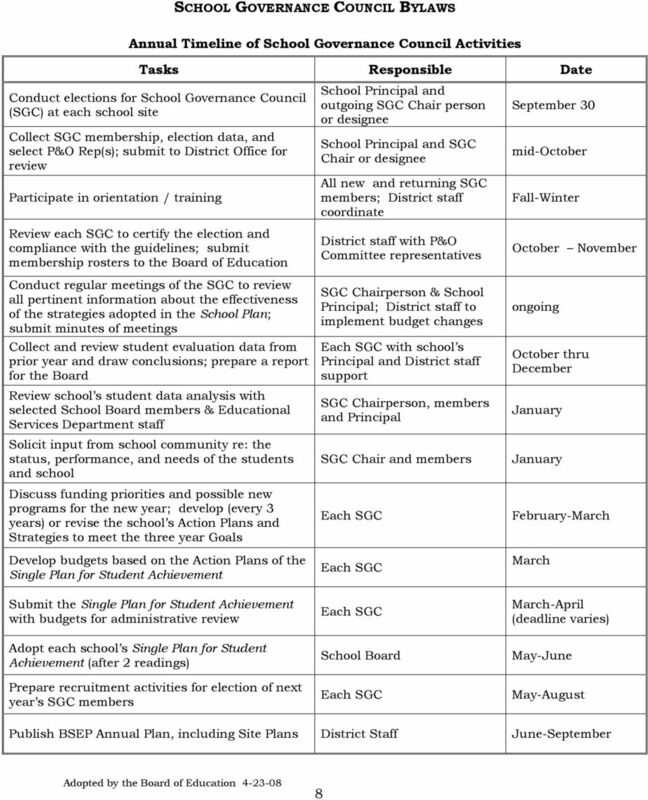 OREGON SCHOOL COUNSELOR ASSOCIATION, INC. 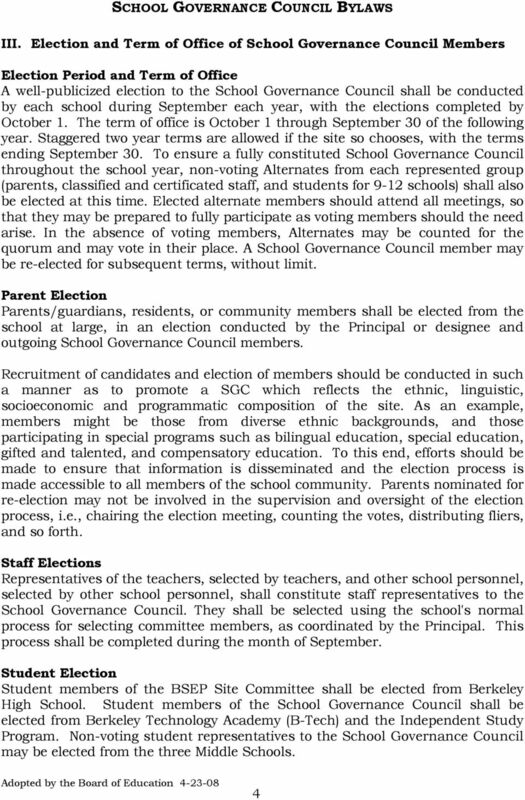 NOMINATIONS AND ELECTIONS POLICIES Drafted May 29, 2003 and Adopted Revisions January 24, 2004 Revised November 18, 2006 Article I: Nominations and Elections Committee.